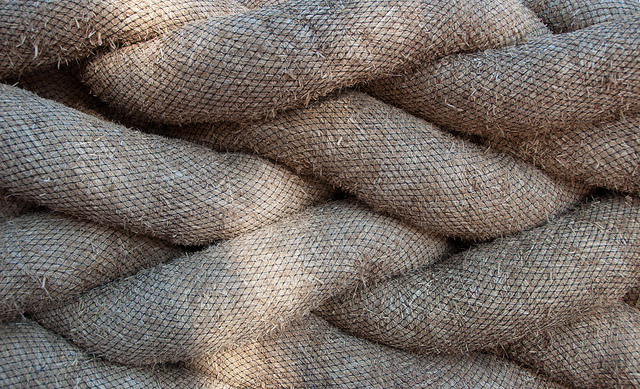 Some call it ecologic or getting closer to nature, others name it revitalizing long-lost traditions. 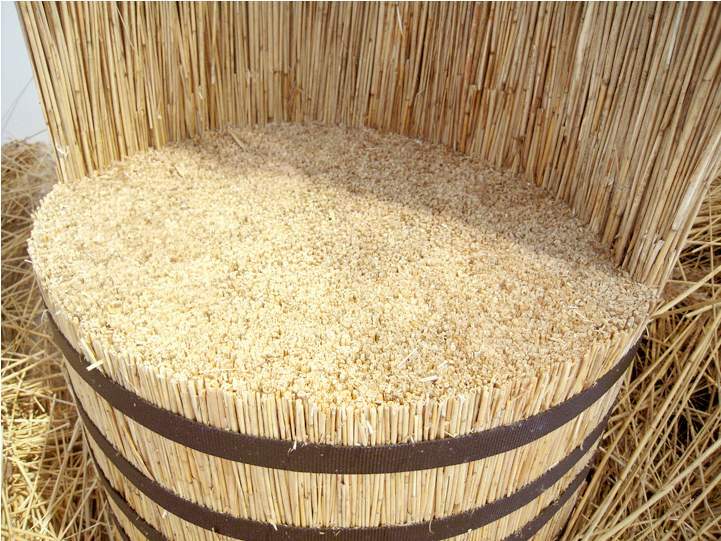 But most interesting about products out of rice straw or any other vegetable material is that their manufacturing techniques do not require tools. They only need to be bound or plated together. Korean designer Been Kim‘s chair (1) got selected as top 9 discovery of design newcomers by designboom for Parisian design fair “maison et objet” in Fall 2011. 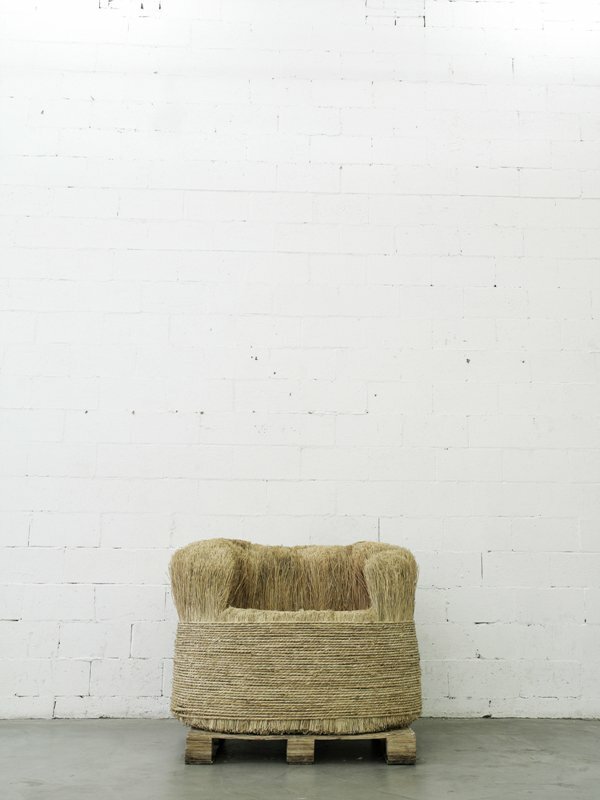 Basically the same chair was made by Jan Rytir one year before and was exhibited at the Designersblock Show at the Milan Furniture Fair (2). 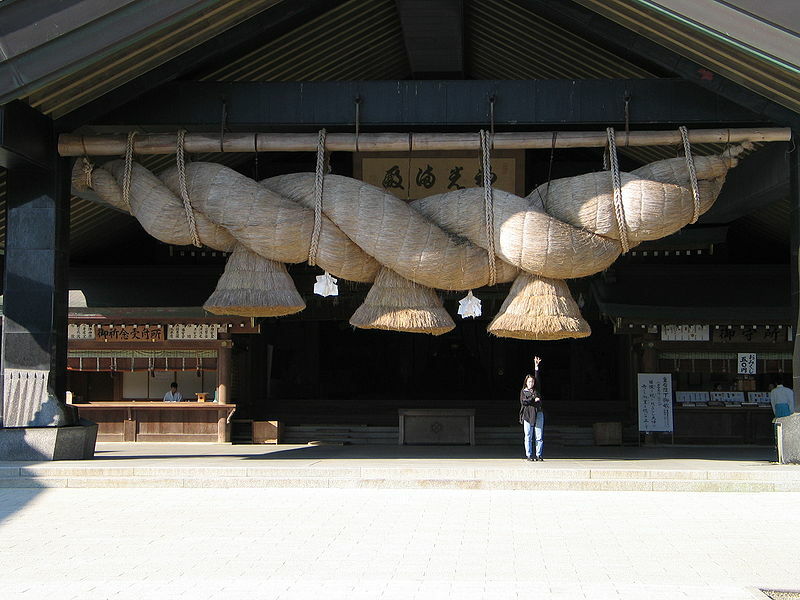 Gina Hsu and Nagaaki Shaw from Taiwan worked on serveral objects out of rice straw. 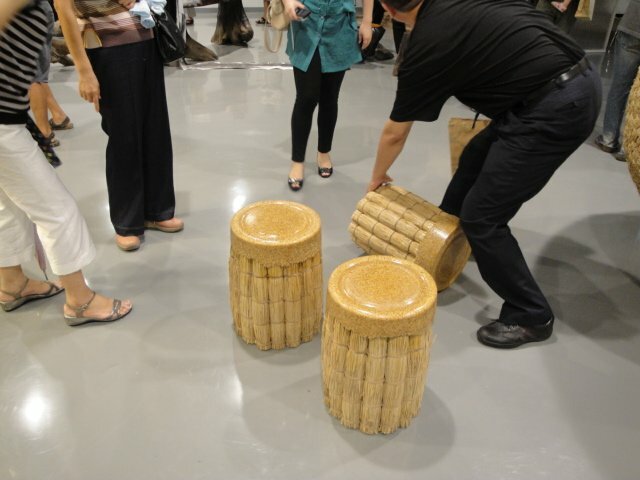 These were exposed at the “The Beauty of Handmade Craft” exhibition at Taiwan’s Lanyang Museum. 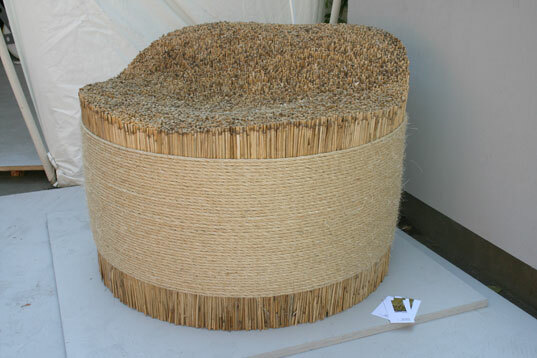 For the top of their “straw stool” they used epoxy resin to make it more durable (3). 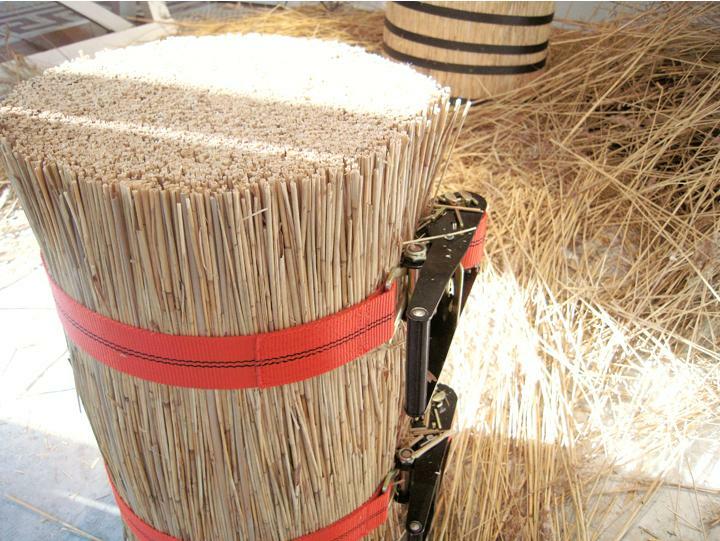 Another Korean designer, Kwang Ho Lee used heavy duty conveyor belts to bundle rice straw together which resulted in his stools called “zip” (4)(5). How to make boxes using straw?! Hi Adnan, I have no idea. Wising you luck to find out how to do this!